If you’re thinking about converting your outdated bathtub into the luxurious walk-in shower you’ve always dreamed of, you’re in good company. According to the American Institute of Architects, bathrooms without bathtubs are growing in popularity. In fact, 60 percent of homeowners preferred stall showers to tubs in a 2013 survey. However, there’s a caveat: most real estate agents recommend keeping at least one bathtub in your home to preserve its marketability when you decide to sell your home. So, before you take a sledgehammer to your bathtub, here are some tips for making the process as seamless and affordable as possible. 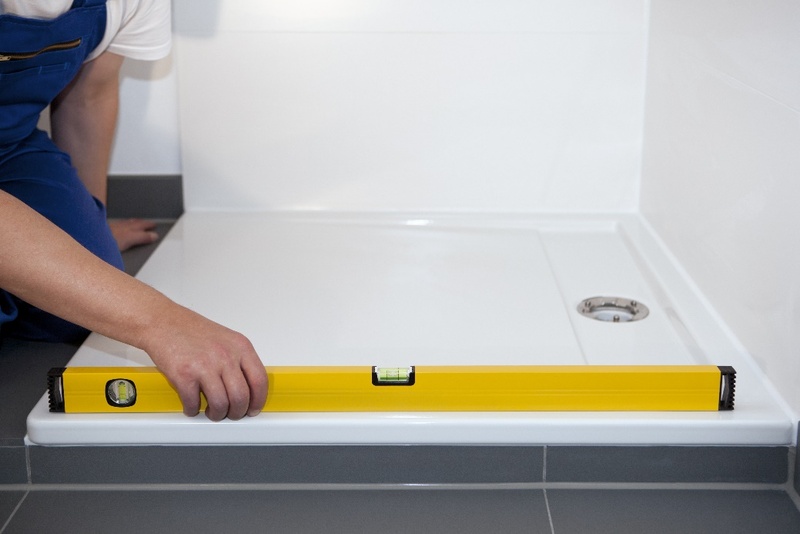 Not all showers will fit in the space that’s being occupied by your bathtub, which is why it’s important to measure your bathroom as precisely as possible. Most tubs are 60 inches wide, which is a great width for a shower. Unfortunately, many homeowners typically run into an issue with the depth. You’ll want to aim for at least 32 to 34 inches from the finished tile wall to the future glass shower door. To comply with the National Kitchen & Bath Association’s guidelines for bathrooms, you’ll also need to have a finished ceiling height of a minimum of 80 inches and a shower that’s at least 30 X 30 to comply. It���s also important to record the toilet location- a distance of 15 to 18 inches from the center of the toilet to the shower door tends to be comfortable. If the measurements of your future shower don’t fall in line, you’ll likely need to put your shower in a different location of the bathroom, which will probably require the services of a professional contractor and/or designer. What about the Shower Door? Many DIYers forget about the shower door until it’s too late. To avoid the headache that comes along with that, figure out your shower door situation before you plan the renovation. Ask yourself a few questions: where will you put the door in your new shower? Does it interfere with the bathroom vanity or toilet? Will there be enough room to get in and out of the shower with the new shower door? If the walkway from the vanity or toilet to the shower is too tight for a swinging shower door, there are other alternatives available on the market, including glass block walls, sliding doors, and retainer walls. Tip: if the bathroom floor is going to get wet outside the shower, choose a slip-resistant material for the floor. Shopping for bathroom fixtures can actually be a lot of fun, as long as you take your time and do your research. Research your options, and keep an eye out for specials and possible out-of-the-box combos. Many first-time DIYers may feel pressure to purchase all their bathroom fixtures and accessories from the same brand, which isn’t a necessity. In fact, many professional designers mix and match fixtures from a few different companies. Since bathroom fixtures are mostly chosen for their aesthetics, as long as they all look great together they’re fair game. Tip: if you’re building a custom steam shower, it should be constructed by someone with at least five years’ experience with vapor proofing. The key to a polished-looking shower is to consider your lighting and tile options from the very beginning. Make sure to include lights inside your shower, not just outside or around it. Depending on the size and overall design of your shower, one, two, or four lights might look best. When you remove the tub to make room for the new shower, take the opportunity to make sure the light system you chose can be installed like you had planned. Finally, don’t install the tile until you have the finished light sources already in place. Otherwise, it’s difficult to know how any lippage might look, as the lights of a shower are often quite close to the wall which will showcase any mistakes you made while installing tile. For more information about your lighting and tile options, check out Bathroom Lighting: A Guide and Decorative Tile: A Guide. When designing your bathroom, you’ll have to do quite a bit of research on different appliances, utilities, and surface materials before you can begin to renovate. One of the most important decisions during this process will be the one regarding your countertops. Your bathroom vanity countertops not only serve as a highlight of your bathroom’s aesthetic, but they’ll need to withstand the wear and tear that comes with daily life. For this reason, you should make sure you select a countertop that fits with the rest of your design layout, while also making sure to choose one that will be durable and easy to keep clean and maintain. 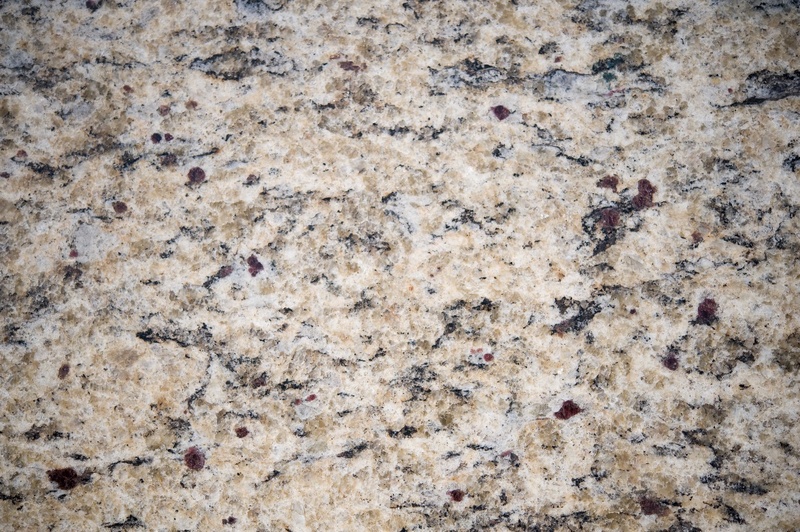 It’s very common for people to go with a stone countertop, particularly granite or quartz. This is because they’re highly durable and functional materials, and they tend to have a very polished and elegant look. There are some differences among the range of stone countertop types, so you should understand the characteristics and responsibility that comes with each before making your decision. If you choose granite, you’ll want to make sure it’s properly sealed before it’s installed in order to prevent deterioration or any harmful buildup. When sealed properly, granite is an extremely durable, resilient, and beautiful surface material. However, you will need to be sure to clean it with the correct products, which means you’ll need to buy cleaning supplies that are made specifically for granite. Also, you’ll want to be sure to clean up any spills on your granite countertop as soon as possible, especially in the case of a spill involving products with high acidity, as these can cause the granite to corrode if not addressed quickly. Another good stone countertop option is quartz, an engineered stone that’s highly durable and will look great in almost any setting. The main drawback of quartz is that it doesn’t possess the natural beauty of granite, but this makes it easier to maintain. Quartz countertops are less likely than granite to crack or chip, and since they’re not porous, they’re easier to clean. With quartz, you’ll save yourself money and it won’t require the same amount of effort and upkeep, but it is a slight compromise when compared to the unique and natural beauty of granite. Another very versatile option for your bathroom countertop is porcelain tile. This material is highly durable and can be fitted to the space on your counter. Furthermore, this sort of tile is very easy to clean and is typically resistant to moisture, so you won’t have the same worries about corrosion as you might with a granite countertop. However, as with granite and quartz, it’s very important that you don’t overlook the value of high quality installation and design. A crucial part of a tile countertop is the grout, which needs to be sealed properly. Tile is a very reasonably priced option, although one drawback is that the preparation and installation can get rather expensive. However, after the installation stage, you can save yourself some trouble and money in terms of upkeep, as tile is very resilient and can typically be cleaned with basic tile surface cleaning products. Additionally, it will last you very long time with relatively easy maintenance requirements. Also, tile comes in a wide array of colors and sizes, so you’ll have plenty of options when choosing the look you want for your bathroom countertop. Laminate countertops offer an excellent value at a very budget-friendly cost. Laminate countertops consist of hard particle board material sealed with a layer of plastic coating. While this is a fairly inexpensive option that may not provide the same luxurious appearance as granite or tile, laminate countertops are actually a very high quality alternative that can be perfect for anyone with small children or limited time to clean and maintain their bathroom countertop on a consistent basis. Laminate countertops are very easy to clean and maintain, since they’re sealed with plastic and can be cleaned with a sponge or a soapy towel. Some drawbacks with this material are the fact that it will show scratches and can be difficult to repair if damaged, and it’s not as heat resistant as stone or tile. So, if you use a hair straightener or a curling iron, you won’t want to place those items on your laminate countertop or you might leave a permanent mark. Otherwise, this can be a fantastic option for your bathroom countertop that will help you save some money without making a major compromise in quality. Also, you’ll have plenty of colors and styles to choose from when searching for a countertop surface that will fit the rest of your bathroom’s design. Hopefully this has been a helpful guide as you search for the perfect bathroom countertop. There are a lot of different materials and styles to choose from, so it’s important to have an understanding of the characteristics and responsibilities that come with each. So, with this information, perhaps you’ll be that much closer to selecting the perfect material for your bathroom countertop. Good luck! What Type of Shower Base is Right for You? If you’re midway through a bathroom remodel, you maybe browsing the Web for shower bases. When it comes to shower bases, there are many different types – each with their own unique pros and cons. Some of them are easy enough for an amateur to install, while others should be left to the professionals. From pre-cast to acrylic shower bases, here’s what you need to know in order to choose the right shower base for your bathroom. This type of shower base comes in various shapes and sizes, and is ready to install right out of the box. Neo angle bases are designed for corner showers, and come with a curb, tile flanges, and a built-in drain pocket. Easy enough for even the most novice DIYer to install, most manufacturers will make custom pre-cast bases that are sure to fit almost any size, shape, and drain location. Note: before you begin installation, read and review the manufacturer’s installation instructions and tips. The entire success of your project depends on a good installation of the base – don’t install them out of level or you’ll be reprimanding yourself later on down the line. While a custom tile shower base can be built from scratch or built from a kit, it’s time consuming and can be tedious. If you wouldn’t consider yourself a handy person and don’t have a ton of patience, choose the pre-cast base, as custom tile shower bases aren’t the easiest to put together. Made by framing the outline of the shower base with standard 2 X 4 construction, many municipalities will require an inspection before you can install a custom tile shower base. The pros include the freedom to make the shower base any size you’d like, while the cons include having to seal and clean the grout often so as to avoid leaks and mold. Made by thermos-forming acrylic over a fiberglass substrate, acrylic is an extremely lightweight shower base option. Not only is it light and easy to install, but it comes in a variety of sizes and colors. If your old shower base was especially scratched, an acrylic shower base may be the right choice – the color goes a long way through the material so, if you do scratch the surface, it won’t be a different color than the rest of the base. A con to keep in mind: most household cleaners are especially caustic and can cause significant damage to the finish. Since acrylic is more expensive than fiberglass, it’s important to clean your shower without using harsh chemicals. While fiberglass may be lightweight and less expensive, it still has an attractive gloss finish. Unfortunately, there aren’t as many choices for sizes and colors for fiberglass shower bases as there are with the other options. Since a thin gel coat is sprayed onto fiberglass shower bases, the thickness of the finish may vary from base to base. Additionally, the color is only as deep as the gel coat so scratches and nicks will reveal a color that’s different than the finish. Over a period of time, the finish tends to wear and stain and, once stained, is difficult to clean. Once upon a time, choosing tile for your home was as easy as picking from a handful of pastel ceramic squares. Would it be mint green or pale blue? What about light pink or bright yellow? Today, the choices can be overwhelming – porcelain tile can be made to realistically look like everything from aged wood to sleek Italian marble, and tiles made of glass, cork, mirror and even leather are available in all shapes and sizes. With so many options, it’s tough making a choice: here’s some tips to guide you through the decision-making process. Before jumping into tile choices, you should lay out where the tile will be. Not only will this set your plans in stone, but you’ll have a general idea of how much tile you’ll need to purchase in order to complete the job. Your plan doesn’t have to be a professional layout; a hand sketch or elevation of each wall will do. The sketch can be given to your contractor or, if you’re taking a DIY approach and shopping at a smaller tile store, the professionals there can work with your layout to help you find the perfect tile. While in the past homeowners chose a particular tile and used it throughout the space, some contemporary design trends favor alternating between large and small tiles. Simple changes, like using two different size subway tiles, can make a bathroom more stylish and interesting without risking it looking dated in a few years’ time. Another option is alternating the thickness of the tile so some rows jut out further than others. Some homeowners get creative with grout: thick lines of grout in bold or dark colors that contrast with the tile is one way to make a statement. No matter the type of tile you choose, deciding between a traditional or more contemporary style is crucial. Once you’ve created a plan and decided on a style, it’s time to choose a tile type. If your tastes lean towards modern, clean lines, consider incorporating subway tile into your bathroom. If maintenance and durability are high on your list, you can’t go wrong with porcelain: it’s virtually maintenance-free and can be used on any surface or area of your bathroom. Glass tile is especially popular in bathrooms because the reflectivity is a great way to add light to dark spaces, but it shouldn’t be used in high traffic areas, such as bathroom countertops or floors, as glass can break more easily than other tile types. Regardless of the size of your budget or home décor, incorporating decorative tiles into your bathroom is a great way to create an upscale look in your home. If your budget is small, consider using tile in a small area of your bathroom – such as a backsplash or behind the walls of your bathroom vanity. The variety of tile styles and designs for your bathroom are vast; find the one that works for you and transform your bathroom into the stylish, upscale haven you’ve always known it could be.